Amazon is back with the Fab Phone Fest sale of the year 2019 which will be held between 11 and 13 April. 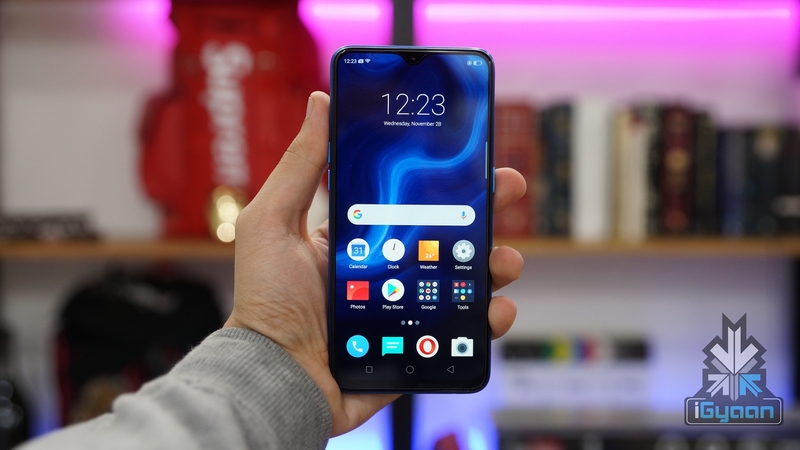 Top smartphones from companies including OnePlus, Xiaomi, Realme, Samsung and many more will be available at huge discounts. 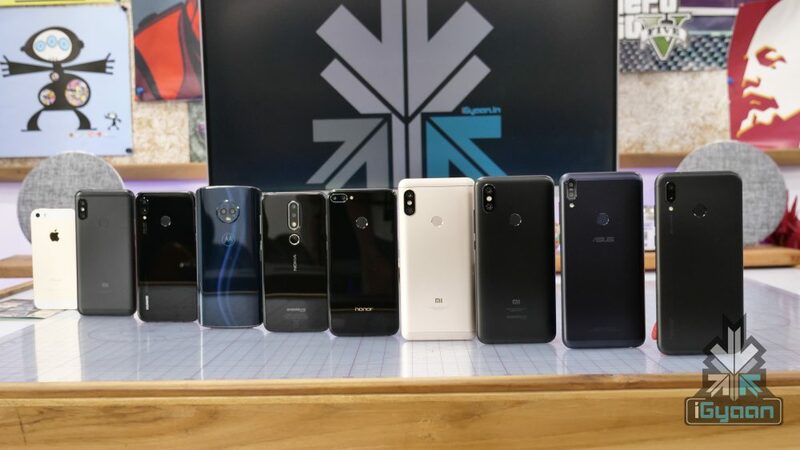 Here is a list of all the top smartphones that will be available at discounts during the Amazon Fab Phone Fest Sale. To recollect, the Mi A2 has a 5.99-inch display with a resolution of 2160 x 1080 px. The smartphone runs on the Snapdragon 660 Octa-core SoC. It is powered by a 3010mAh battery which supports fast charging. As mentioned before, the Mi A2 is Android One certified which implies that it has a clean, stock UI atop Android 9 Pie. For optics, there is a dual rear camera setup comprising of a 12MP and a 20MP sensor. The front facing camera is a 20MP sensor. 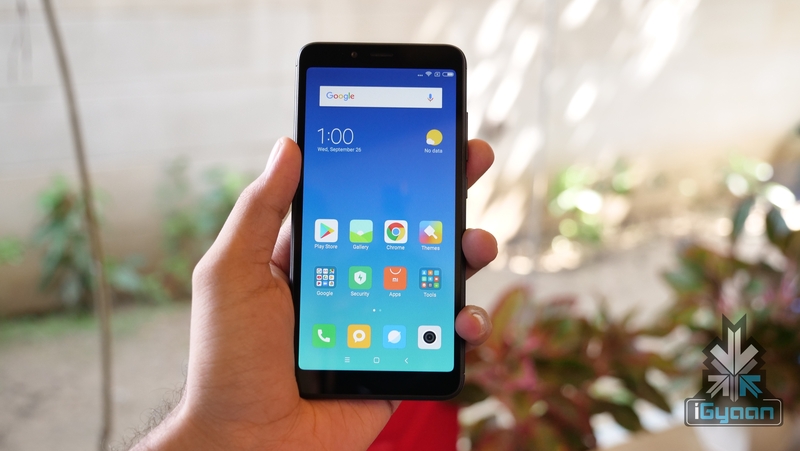 The Redmi Y2 is the successor to the Redmi Y1 and features a 5.99-inch display with HD+ resolution. It runs on the Snapdragon 625 Octa-core chipset and is powered by a 3080mAh battery. The smartphone runs on Android 8.1 Oreo out of the box. In terms of optics, there is a dual 12MP + 5MP camera set up at the back while a 16MP sensor is responsible for selfies. Xiaomi’s affordable offering, the Redmi 6A has a 5.45 inch LCD display with a 295 ppi pixel density. It runs on the Quad-Core Mediatek Helio A22 chipset and is powered by a 3,000 mAh battery. The phone has a 13 MP, f/2.2 aperture equipped rear camera and a 5 MP front camera. The device is available two variants: 2/3 GB of RAM paired with 16/32 GB ROM which is expandable up to 256 GB via a microSD card. 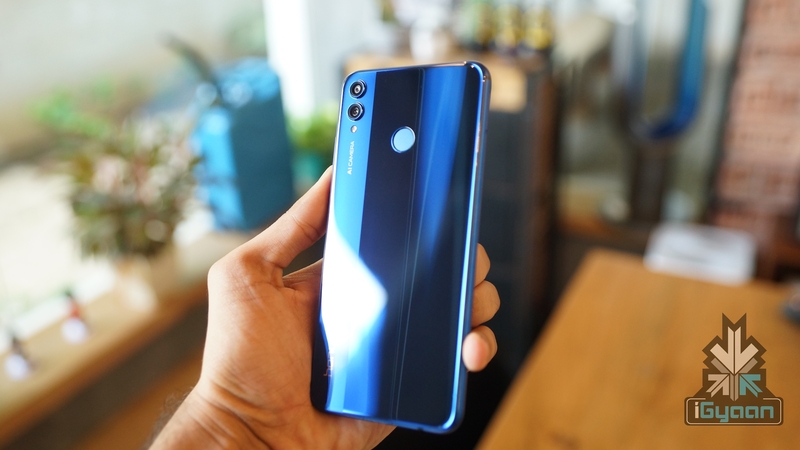 The flagship smartphone from the company, Honor View20 is its first device to sport a hole-punch display. It has a 6.4 inch IPS LCD display with a FullHD+ resolution. It runs on the flagship grade Kirin 980 SoC coupled with either 6GB or 8GB of RAM and an internal storage option of 128GB and 256GB. Optics in the smartphone include a 48MP Sony IMX586 sensor and a Time of Flight (ToF) sensor at the back and a 25MP selfie camera. It is powered by a 4000mAh battery. One of the fastest smartphones in the price range, Honor Play is powered with Huawei’s last year’s flagship Kirin 970, AI processor and GPU Turbo enabling great speed and efficiency. It boasts of dual primary cameras of 16MP + 2MP with AI scene recognition and 16MP AI selfie. Up to 6GB of RAM will ensure phone runs smoothly, even the most memory intensive applications show no signs of lag. 64GB of internal storage will be open for expansion up to 256GB via a microSD card. The phone comes with large 3750 mAh battery to support its 6.3-inch FHD+ screen with IPS LCD display having a resolution of 1080 x 2340 at 409 PPI. 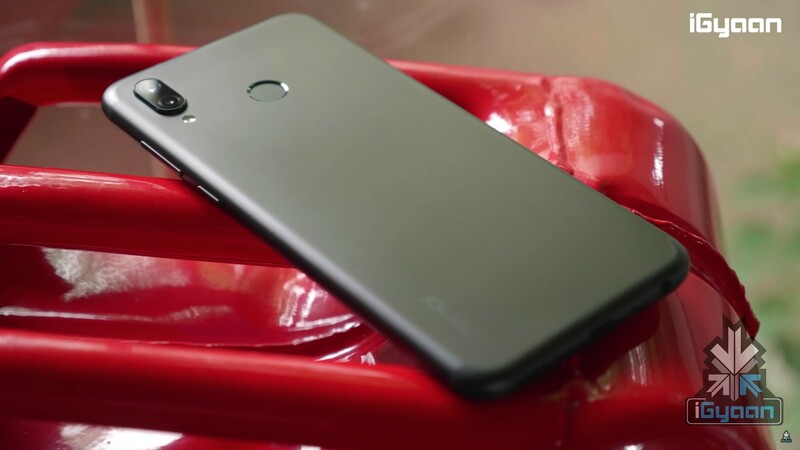 Honor recently launched the mid-range Honor 8X smartphone in India. It has a 6.5 inch IPS LCD display with 396 ppi pixel density. It runs on the Octa-Core Hisilicon Kirin 710 chipset and is powered by a 3,750 mAh battery. The phone has 20 MP + 2 MP dual rear cameras and a 16 MP selfie camera. The device has 4 GB of RAM paired with 64 GB of ROM which is expandable up to 256 GB via a microSD card. The Huawei Y9 is a budget offering from the Chinese smartphone OEM. It has a 6.5-inch LCD display with FullHD+ resolution. It runs on the Octa-Core Hisilicon Kirin 710 chipset and is powered by a 4,000 mAh battery. The phone has 16 MP + 2 MP dual rear cameras and a 13 MP + 2 MP selfie camera setup. The device has 4 GB of RAM paired with 64 GB of ROM which is expandable up to 256 GB via a microSD card. Apple’s last year flagship, the iPhone X has a 5.8 inch Super AMOLED display with 458 ppi pixel density. It runs on the Hexa-Core 2.39 GHz Apple A11 Bionic chipset and is powered by a 2,716 mAh battery. The phone has 12 MP + 12 MP dual rear cameras and a 7 MP front camera. The last year’s flagship smartphones from Samsung have also been discounted on the Amazon Fab Phone Fest 2019. To recall, the Galaxy S9 has a 5.8 inch Super AMOLED display with a resolution of 2960 x 1440 px. It runs on the Exynos 9810 SoC coupled with 4GB of RAM and internal storage up to 256GB. The smartphone has a 12MP dual aperture rear camera and an 8MP front-facing camera. It is powered by a 3000 mAh battery. The Galaxy M10 is the most affordable entrant in the new Galaxy-M lineup of smartphones by the company. It has a 6.22 inch TFT display with an HD+ resolution. The smartphone runs on the Exynos 7870 SoC which is coupled with 2/3GB of RAM and 16GB/32GB of internal storage options. In terms of optics, the device has a 13MP + 5MP dual rear camera setup and the front-facing camera is a 5MP sensor. It is powered by a 3400 mAh battery. The Galaxy M20 is a budget smartphone in the new Galaxy-M lineup of devices by the company. It has a 6.3 inch TFT display with an FHD+ resolution. The smartphone runs on the Exynos 7904 SoC which is coupled with 3/4GB of RAM and 32GB/64GB of internal storage options. In terms of optics, the device has a 13MP + 5MP dual rear camera setup and the front-facing camera is an 8MP sensor. It is powered by a 5000 mAh battery. The selfie focussed smartphone from the company, the Realme U1 is available at a discounted price in the Amazon Fab Phone Fest 2019. The device sports a 6.3 inch IPS LCD display with a resolution of FHD+. It runs on the MediaTek Helio P70 SoC and is coupled with 3/4GB of RAM and internal storage of 32GB/64GB. In terms of optics, the smartphone has a dual 13 MP + 2 MP rear camera setup and a 25MP front-facing camera. It is powered by a 3500 mAh battery. 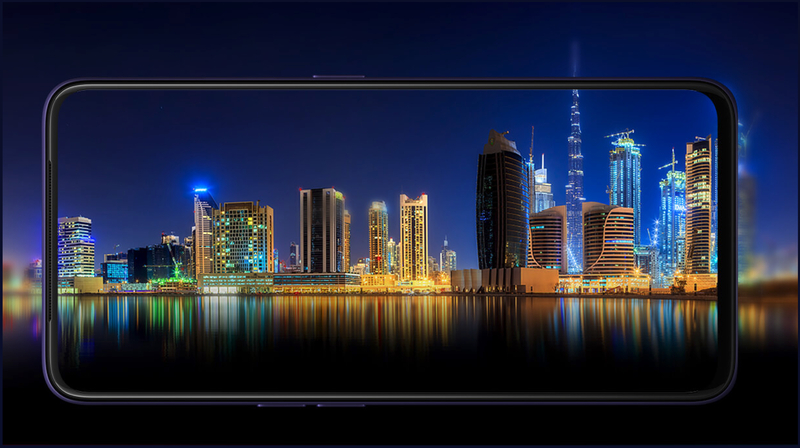 The Oppo F9 Pro was launched last year, featuring a striking gradient back and a teardrop notch on the front. It has a 6.3-inch IPS LCD display with a resolution of FHD+. The device runs on the MediaTek Helio P60 SoC combined with 4/6GB of RAM and 64GB of internal storage. In terms of optics, there is a 16 MP + 2 MP dual rear camera setup and a 25MP sensor for selfies. It is powered by a 3500 mAh battery. 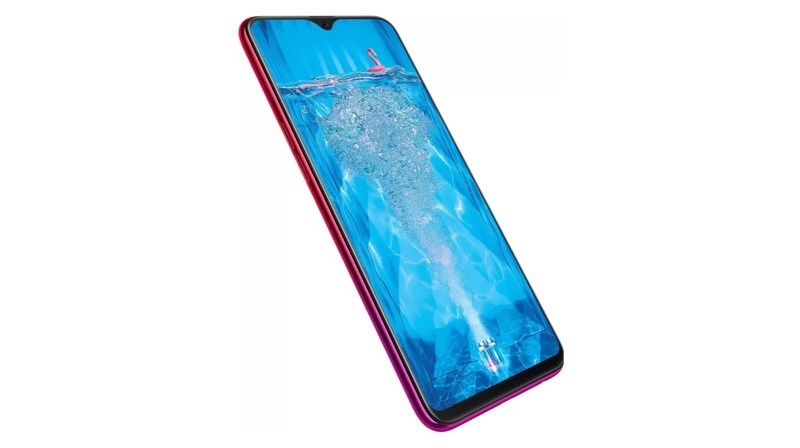 The latest smartphone from the company, the Oppo F11 Pro has a pop-up selfie camera to provide it with a high screen to body ratio display. The device has a 6.53-inch IPS LCD display with an FHD+ resolution. It runs on the MediaTek Helio P70 SoC and is coupled with 6GB of RAM and 64GB of internal storage. 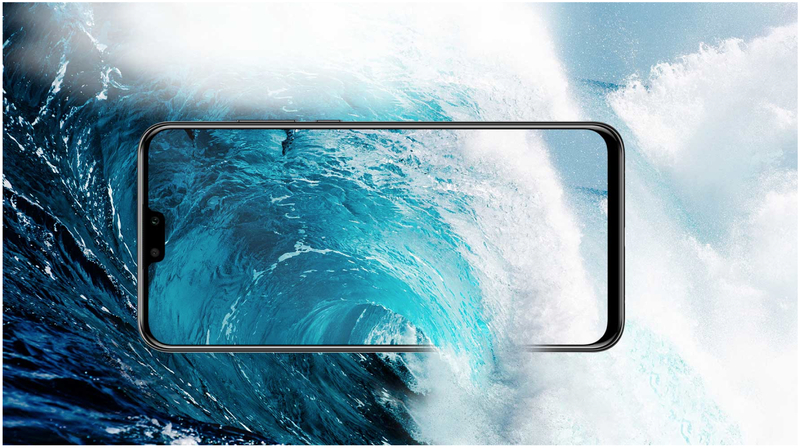 In terms of optics, there is a dual rear camera setup consisting of a 48 MP + 5 MP sensors and a 16 MP front-facing camera. The device is powered by a 4000 mAh battery.